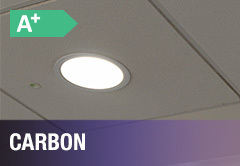 A stylish range of downlights with many finishing options, an ideal alternative to compact fluorescents. 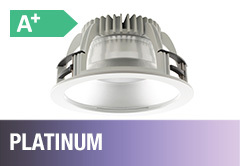 Designed to be retrofitted into existing downlight cutouts with white or silver finishes. 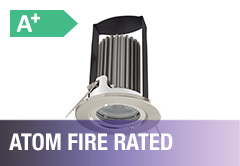 Fully tested for up to 90 minutes fire resistance with multiple bezel options available. 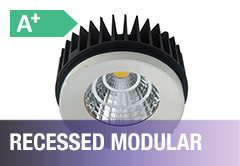 Modular downlights for complete flexibility over frame, module shape, and driver. 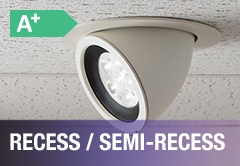 Retrofit replacements to traditional CFL downlights. 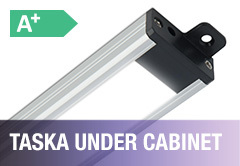 Including options for low glare, IP rated and wall washers. 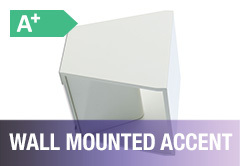 Ideal for installation under kitchen cupboards, adding subtle lighting to into the room. 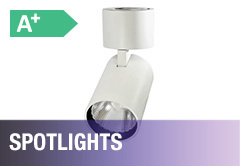 A series of wall lights which illuminate the wall creating a comfortable environment. A fixed position surface light with optical diffuser. Suitable for mounting on a wall or ceiling. 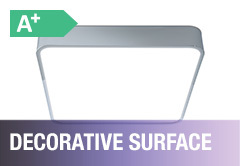 A versatile series of spotlights available in both surface and recessed mounting options. 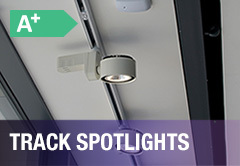 A range of tracked spotlights suitable for a variety of different interior lighting applications.